20 Oct Buying Kitchen Cabinets? In a kitchen remodel, you could be looking at the cost of cabinets taking up to 40% of your total budget. It is a big expense in a renovation. It’s not easy making decisions in regard to cabinet replacements, whatever design you choose sets the look for the entire kitchen and it’s one you likely will have to live with for years, possibly decades. Currently it makes sense to settle on kitchen cabinets of conservative design, as they’re less likely to become wildly out of style any time soon. 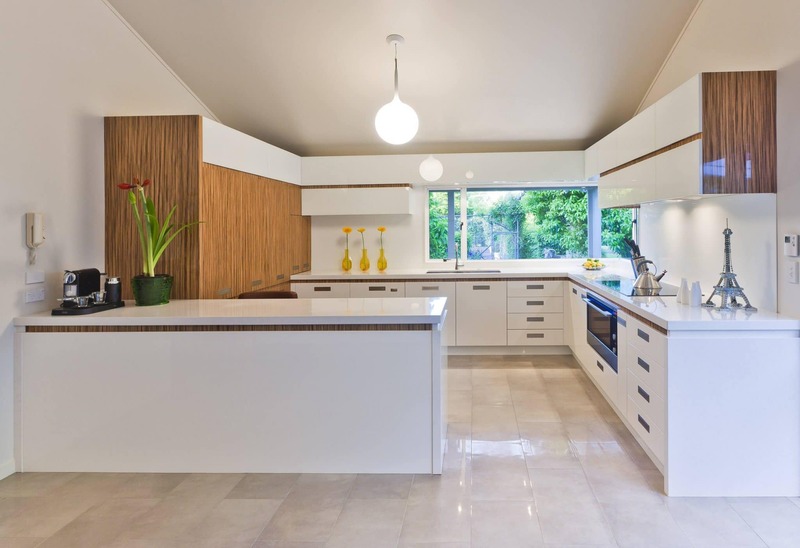 People are choosing less busy styles that are more streamlined, with the clean lines and square corners of Shaker cabinets (the most popular of all cabinet concepts). It’s important to do a bit of research. The distinction between high and low – end cabinets has blurred somewhat. 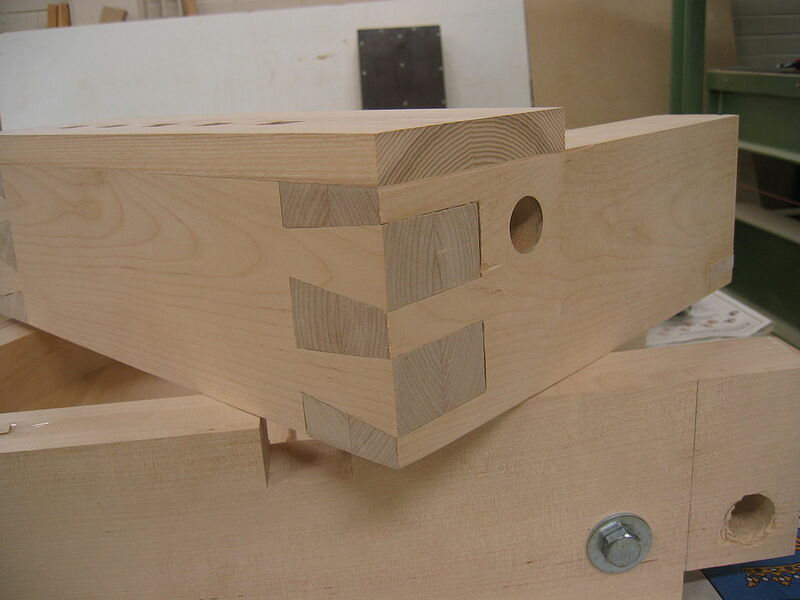 There was a time when the presence of dovetail joints was a clear indicator of high end cabinets. But manufacturers of all quality levels started offering such premium features, even on their cheaper products. The playing field became muddied – you could go for bells and whistles and yet still end up with generally shoddy construction. Save yourself time and money and research manufacturer and retailer websites. Believe it or not, it won’t take long before you can discern quality from the knock offs. Trust your instincts; nobody knows the look you want to convey better than you. You’ll pick what you believe best complements your home, and you want to be sure the construction of what you choose will last. The starting point from which to work from is your budget. There are three cabinet types that are essentially designed for different price points. ‘Stock’ cabinets are the least expensive. They are often pre-assembled and available ready-to-go at big home centers. There are versions – such as from Ikea – that do require some assembly. They are typically limited in colors and styles. You’ll find more styles and configuration options with ‘Semi-custom’ cabinets, thereby allowing you a little more precision in relation to your kitchen than what stock cabinets offer (as reflected in the higher price). But it is the ‘custom’ cabinet the will fulfill your exact specifications, from style to details and additional features. Of course, you’ll pay a premium for such perfection. You’ll learn that you have two basic styles to choose from – framed or frameless. “Framed” construction is a box and a face frame to which the drawers and doors attach. “Frameless” (often referred to as “Euro-style”) forgo the face frame with the doors and drawers attached directly to the cabinet box instead. It is essentially a more contemporary design that features easier interior access. But you can compromise rigidity by not having a face frame. Some higher end manufacturers compensate with a thicker box. If you wish to combine a European look with a framed cabinet you’ll want a full overlay door. It covers most (or all) of the face frame. 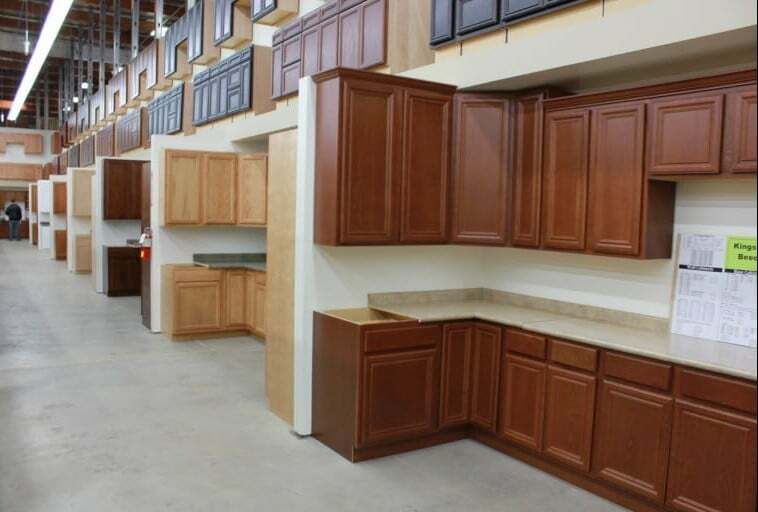 Check out the construction of the cabinets that interest you. Well-constructed cabinets feature the aforementioned dovetail joints connecting the solid wood drawers (instead of the stapled particleboard that is typical of very cheap cabinets) and full extension drawer guides (preferable over an integrated rail). Lastly you’ll find solid wood framed doors that surround a solid or ply wood panel, as opposed to the less durable veneered particleboard or medium density fiberboard (referred to as “MDF”). 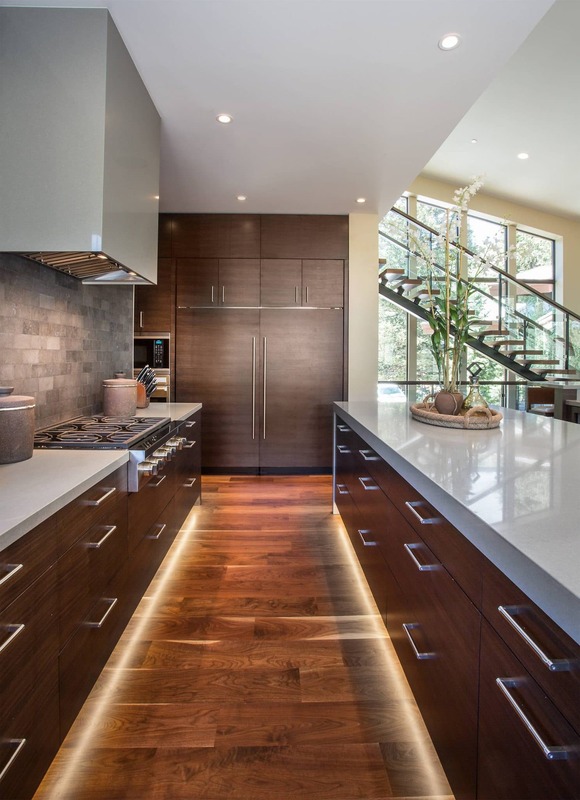 Depending on your budget you may wish to select special features for your cabinets. You could spend up to twenty percent more for legitimately innovative add-ons such as a pull-out trash can or an enclosed charging station. For easier access to certain accessories, choose a lift cabinet that features a spring loaded shelf that swings up and out. Before making any final decisions, first confirm that your old cabinets are in fact completely worn out. Otherwise, you may be able to revitalize them, give them an all new look and save quite a bit of money. If they are square (not warped) and sturdy you should consider repainting or refinishing them. It’s easy, really – just remove the doors and drawers and thoroughly clean them with a degreasing agent. Then go over them with sandpaper before applying a primer and a number of top coats. Of course, you could simply pay a pro to do the work at a reasonable fifty dollars or so per door. Another option for your original cabinets is to have them refaced. It’s perfect for framed constructions and requires new doors and drawers and new veneers to be attached to the face frames and ends. This will run you around $150 per cabinet. You can modify older cabinets, too, with the addition of such modern devices as pull out shelves, lazy Susan’s or any number of other similar upgrades. Under cabinet LED task lights are a especially nice, and inexpensive, touch. 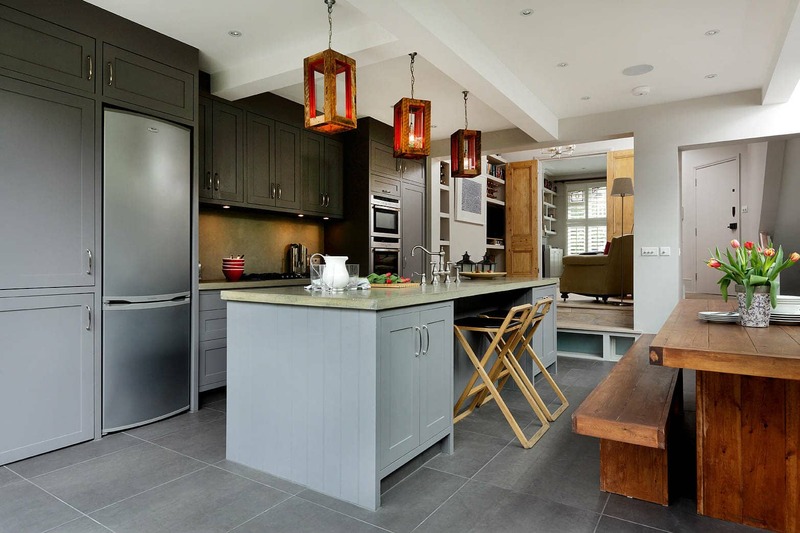 A kitchen typically accommodates about 25 to 30 feet of cabinets. How to present them is all up to you. Use your new knowledge and find the cabinets that maximize the potential of your budget and imagination!